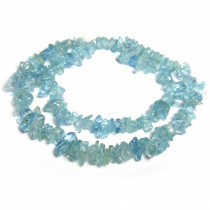 Aquamarine gets its name from Latin expression "water of the sea". 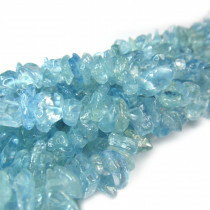 Like seawater, aquamarine comes in blue and green blue colours. 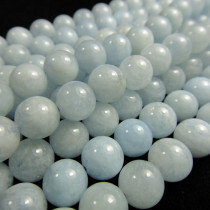 According to legend, the aquamarine originated in the treasure chest of mermaids and has since been regarded as the sailors' lucky stone. 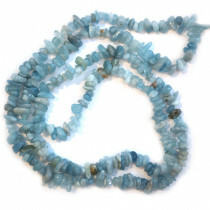 Aquamarine approximately 5mm Round Gemstone Beads (~74pce Strand) - 38cm Strand. 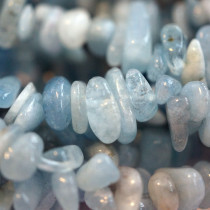 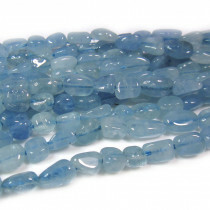 Aquamarine approximately 4mm Round Gemstone Beads (~100pce Strand) - 38cm Strand. 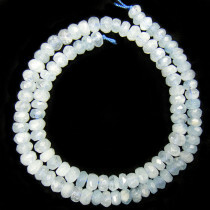 Aquamarine 6mm Round Gemstone Beads (~66pce Strand) - 40cm/16'" Strand. 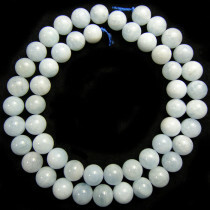 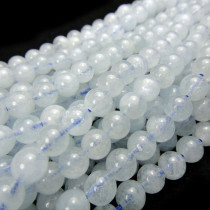 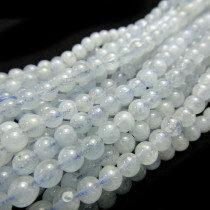 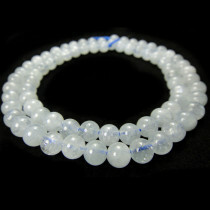 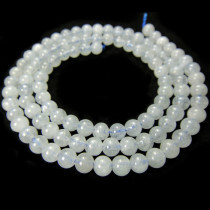 Aquamarine 8mm Round Gemstone Beads (~50pce Strand) - 40cm/16'" Strand. 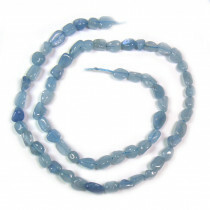 Aquamarine Faceted Rondelle 5x8mm Gemstone Beads (~80pce Strand) - 40cm/16'" Strand. 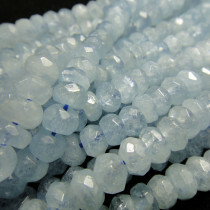 A Grade Aquamarine 4x8mm Chip Gemstone Beads (~138pce Strand) - 40cm/16'"
Aquamarine 5x8mm Chip Gemstone Beads (~150pce Strand) - 85cm/34'"
Aquamarine Small Nugget 5x7mm Gemstone Beads (~57pce Strand) - 40cm/16'"